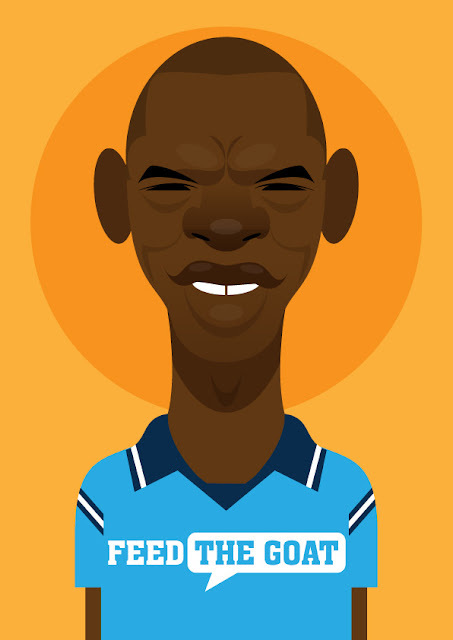 Stanley Chow's soccer prints feature some of the world's best-known footballers including David Beckham, Mario Balotelli and Bermuda's own Shaun Goater. Winter Water Factory, one of my favourite manufacturers of organic children's clothes, have collaborated on a capsule collection with Joy Deangdeelert Cho, graphic designer, food enthusiast and founder of the Oh Joy blog. 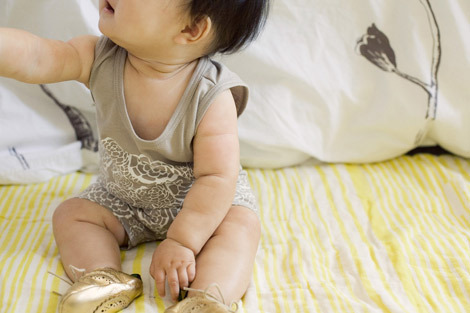 Featuring Oh Joy's signature Petal Pusher pattern, the baby dresses and rompers are available in pink or gold, grey or blue and sizes start from 3-6 months and go up to 18-24 months. 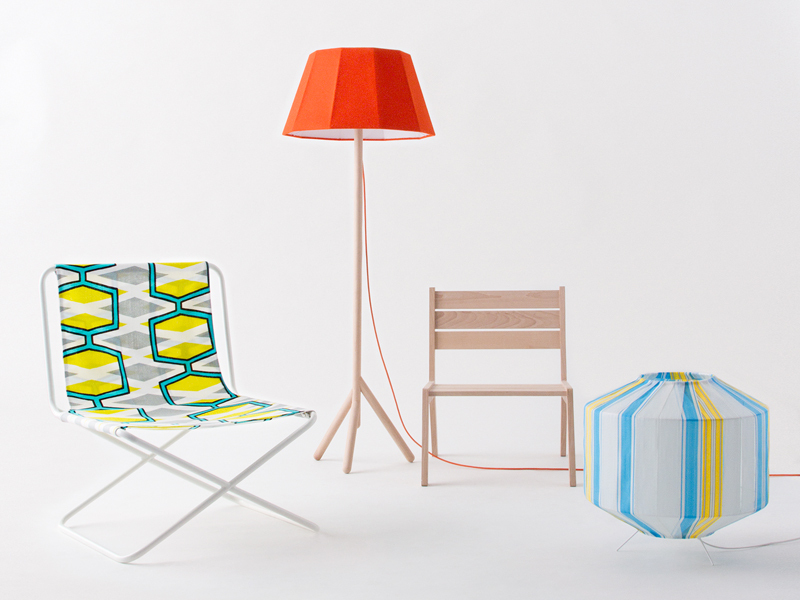 This first collection of outdoor furniture from French design studio Colonel is inspired by the beach and camping of yesteryear. Colonel founders Isabelle Gilles and Yann Poncelet reference the past throughout their collections: from the umbrella-like faceted floor lamps to the oversized, vibrantly printed canvas and metal chair, the retro beach vibe shines through. 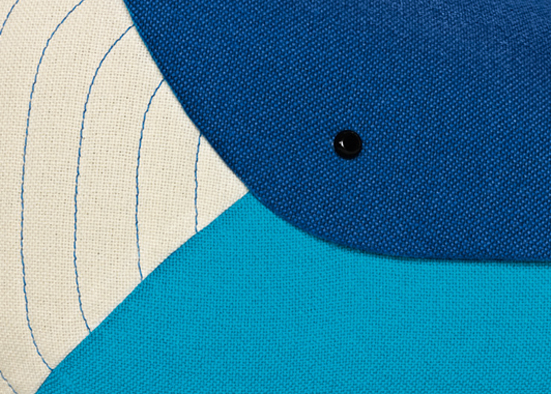 The result is a contemporary interpretation of vintage outdoor gear and mixes colors, rhythms and patterns to great effect. The floor lamps are made from the plastic banding of '60s-era American camping chairs which are hand-sewn over metal frames. The repurposed lounge chair is covered in a patterned canvas fabric from Designers Guild and has a clean, modern feel. The colourful floor lamp stands on a tripod made of beech and has a felt shade. 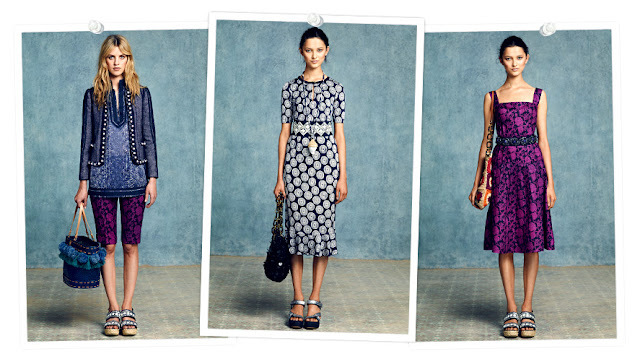 Carven's summer collection is full of volume, leather, cut-outs, pattern and the most delicious colour. 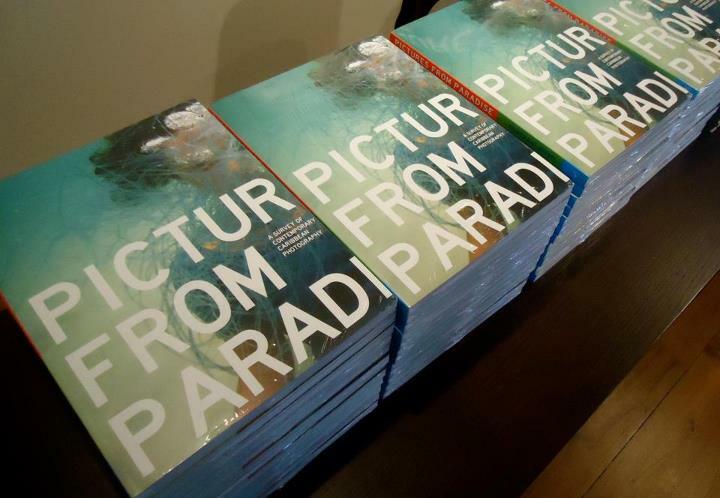 The book Pictures From Paradise: A Survey of Contemporary Caribbean Photography was launched earlier this year. It is the first of its kind in the Contemporary Art Series by Robert and Christopher Publishers which is based in Trinidad and Tobago. The idea for the book was developed after the Shot in Kingston: The Digital Scene exhibition which was at Alice Yard in 2010 and which was curated by Christopher Cozier. The irony of the title is that the photographs in the book are the complete opposite of what one would expect to see in a book of Caribbean photography. There are no picturesque depictions of landscapes, sandy beaches or jovial natives. Instead co-editors Melanie Archer and Mariel Brown have beautifully captured the works of 18 photographers representing different parts of the Caribbean including Jamaica, Trinidad and Tobago, St Kitts and Nevis, Guyana, St Vincent and the Grenadines, Bermuda and Barbados, with Bermudian James Cooper's beautiful underwater photography chosen for the cover. 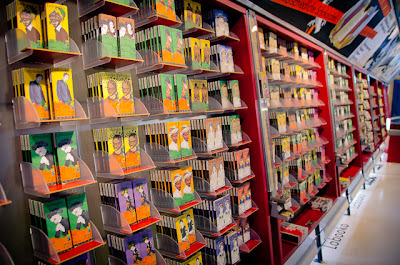 Other notable artists whose works are featured include Ebony G. Patterson, Abigail Hadeed, Rodell Warner and Alex Smailes. The editors have divided the book into three categories: The Tableau Vivant, The Documentary and The Portrait. They believe that the works of the photographers are an honest and clear adaptation of themselves and the world they live in as opposed to a stilted, clichéd view. It is also felt that the publication has unified the Anglophone Caribbean and is the perfect tool to showcase the works that photographers are producing across the region as they respond, in the words of O’Neil Lawrence, one of the featured photographers, "in new ways to the representational history and realities of the Caribbean". 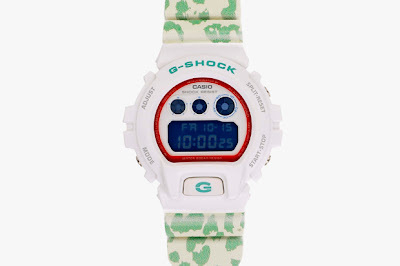 The popularity of the Casio G-Shock continues unabated after all these years. 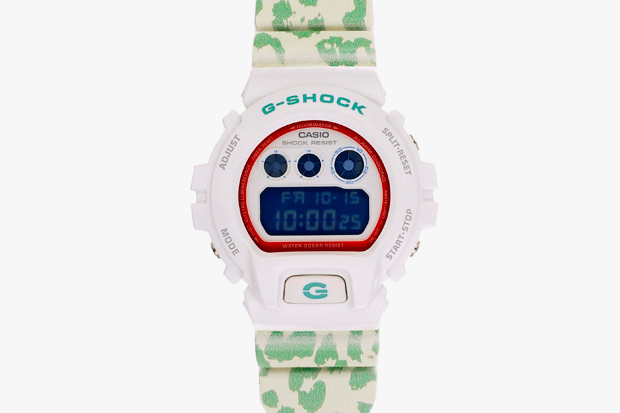 Having just recently photographed a blinged-out version which the wearer had had customised, I was surprised to see the company is getting in on the act by issuing two new designs as part of its 30th anniversary celebration. In conjunction with Fashion East, the watches are a special edition and have been designed by SIBLING and Maarten van der Horst respectively. G-Shock’s classic DW6900, GA-110 and Hypercomplex designs have been modified. 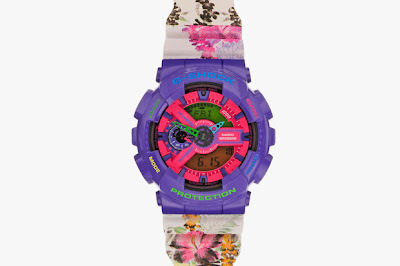 The GA-110 timepiece is covered in a candy-colored leopard print from SIBLING’s Spring/Summer 2012 collection while the Hypercomplex features bright, multicolors inspired by Maarten van der Horst. 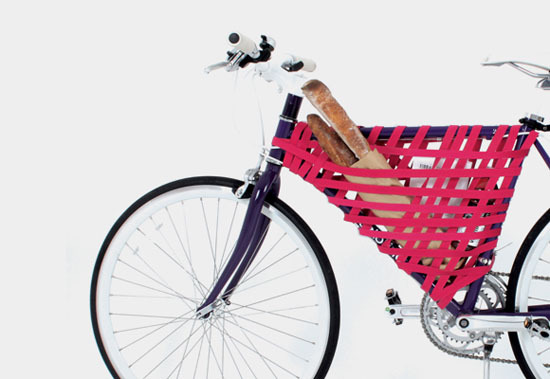 Reel by Yeongkeun Jeong (in collaboration with Aareum Jeong) adds often much needed storage by transforming a bike's frame into a basket. To create the "basket", silicone stickers are affixed to the frame and elastic bands woven between them. The Reel can be customised as required by the user and easily removed if necessary. 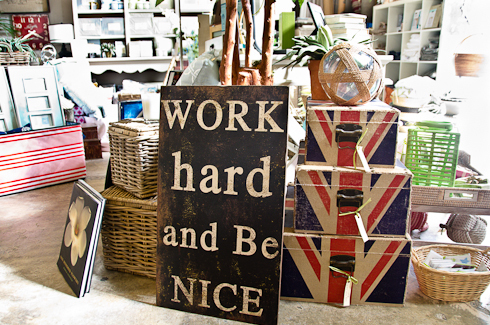 Its all change at Atelerie these days - from preparing to move to a more central location to the introduction of its first clothing line for children. These adorable kurtas, bloomers and sundresses in hand-blocked printed textiles from Rikshaw are on sale now. Like Peter Doig, Chris Ofili has lived and worked in Trinidad since the early 2000s, a fact that amazed me when I first learned of it, having been simultaneously intrigued and repelled by his infamous "dung" paintings with their dense, intensely laboured, highly decorated canvases. Since his arrival, Ofili has embraced as he puts it "the continual challenge" of practicing "close to the things that you’re being inspired by". 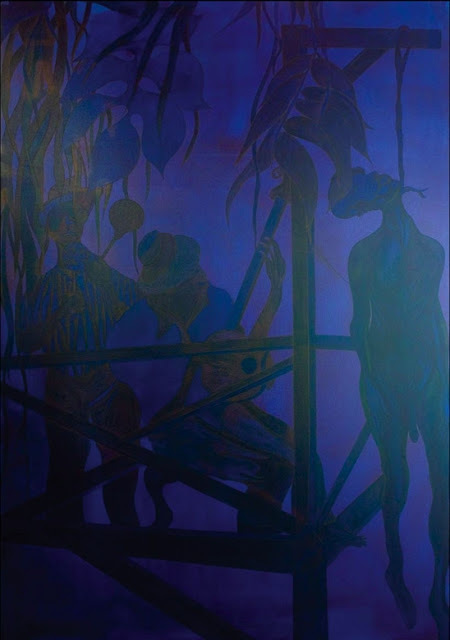 Ofili's decision to relocate to Trinidad like Doig's has since been met with a mixture of curiosity and suspicion in the both local and international art circles. Both artists have recognised the changes which have taken place in their art since they moved to the Caribbean and acknowledge that painting in unfamiliar surroundings can be a fertile source of inspiration. I had to do these two posts one after the other because the tables look so similar. 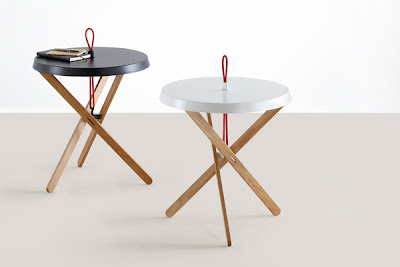 This is the Marionet table designed by Simon Busse for the Mox Company. Like the Express table in the previous post, the Marionet is also topped by a loop but that's where the similarities end; here it is made of a coloured elastic band which represents the marionette’s string. 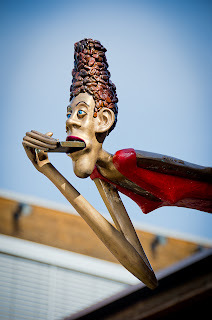 The band runs from the table's wooden legs through the tabletop and turns into a carrying handle on the upper side. The elasticised cord both holds the body of the table together and enables it to collapse. Eliumstudio have designed this the Express table that is both lightweight and mobile. 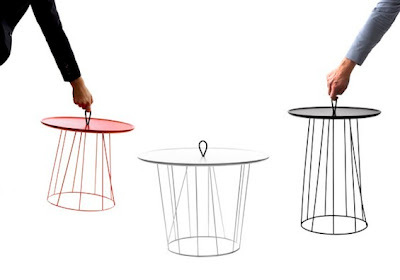 The table consists of a lacquered MDF tray on top of a thin steel wire structure and is equipped with a nylon handle. The Express comes in three sizes and can be used as a side table, magazine holder or storage compartment. OK, I'll admit these guys were so committed to their packaging and backstory, it took me a while to work out exactly what they were selling. I first came across Hoxton Street Market Supplies when I saw their ingenious Salt Made From Tears concept, only to find they sell gum balls, mints, fudge and other candies all in beautiful packaging. I've been obsessed with these Candy bags from Furla ever since I was talked out of buying a cheaper version from Topshop earlier this year (you know who you are). 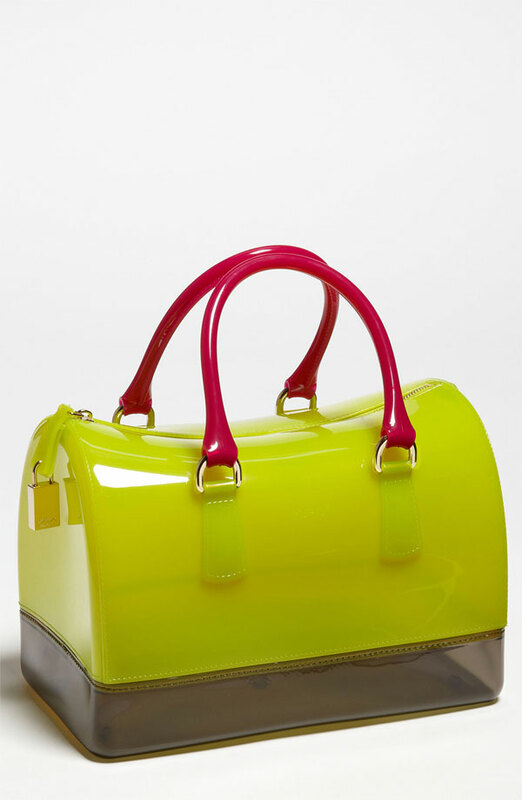 Originally they were released in single colours, but have now been turning up in the juiciest of colour combinations and I think they're the perfect fun bag for summer. Like a poor woman's Tory Burch comes this Palm Springs-inspired collaboration between Trina Turk and Banana Republic. Tory Burch's Amalfi coast-inspired resort 2013 collection was released yesterday. The collection heavily features blues, greens and Tory's signature bohemian, 1970s vibe. It always intrigues, though not necessarily surprises, me when an internationally acclaimed artist chooses to settle and obtain inspiration in the Caribbean. 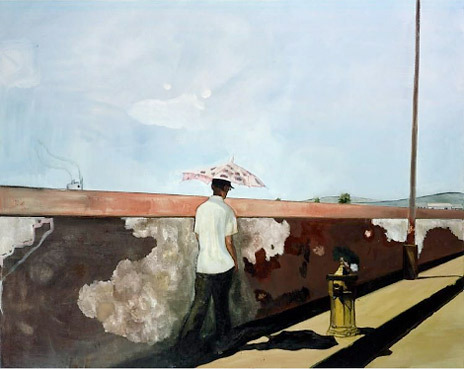 In the case of Scottish artist Peter Doig, the move from London to Trinidad which he made in 2002 was in fact a return: he had lived in Trinidad for several years with his parents as a child. Best known for his melancholy and dreamlike renditions of bucolic landscapes, Doig is a figurative painter who has become one of the most internationally-celebrated painters of his generation having been nominated for the Turner Prize in 1994. His body of work, which hangs in museums around the world and are prized by collectors, includes snowy, tree-filled scenes often dotted with a lone figure, blurry cabins and solitary, water-drifting canoes (including Doig's record-breaking "White Canoe," which sold at auction for $11.3 million in 2007). Since his move, the life and culture of Trinidad now serve as the starting point for his impressionistic paintings and these are the ones which have the most resonance for me. Another CFDA/Vogue Fashion Fund winner has collaborated with J.Crew on a capsule collection to be sold by that retailer. This time it's Chicago-based duo Creatures of the Wind who are selling a four-piece 60s-inspired collection which includes the gorgeous broken stripe cardigan and tee pictured above. 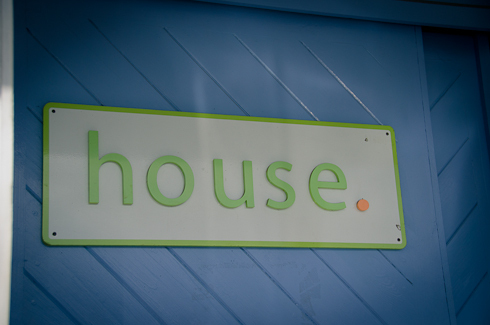 I was lucky enough to stumble across house., a furnishings business located in Tortola, British Virgin islands a few weeks ago. 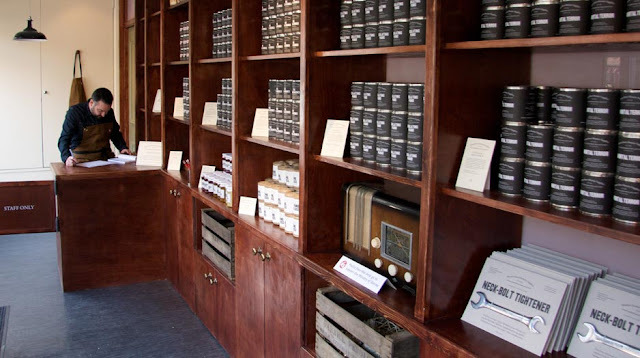 Opened in 2005, the store is chock full of furniture, fabrics, whimsical decorative accessories, lighting, linens and candles as well as kitchen equipment, gadgets and books for locals and the luxury charter yacht industry. On the cliffs overlooking Little Bay, Anguilla is this ten bedroom estate with two fully-serviced villas designed by Lee Skolnick Architecture + Design Partnership. 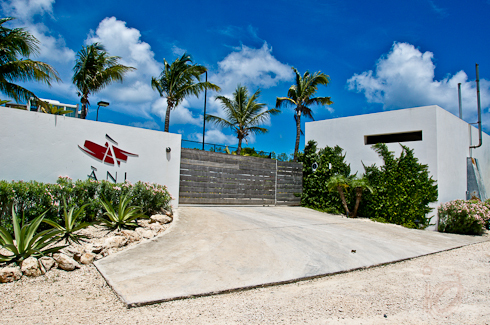 Àni North sits on the northern side of the estate and has been designed so that all master bedrooms, indoor and outdoor living spaces are oriented towards the western view down the Anguilla coastline and towards evening sunset views. Unique to Àni North is that home's atrium which is topped by a huge skylight and grounded by a water feature. Àni South sits on the southern side of the estate and looks directly down into Little Bay. The master bedrooms, indoor and outdoor living spaces of this villa are also oriented toward the western view. Both villas have their own living and dining spaces (indoor and outdoor), roof lounges, pool decks and cliff edge hot tubs. Àni Villas are affiliated with Àni Art Academies, a non-profit program which provides multi-year art skills and education. The first international school is located not far from the villas in Limestone Bay area of Anguilla. 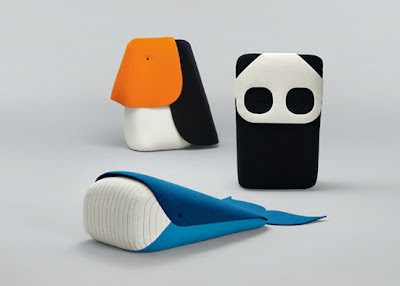 Have a look at these adorable, stylised soft toys from French designer Ionna Vautrin. 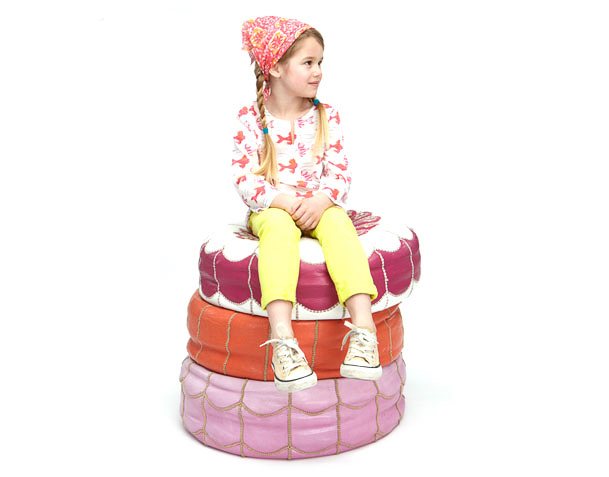 Made from Hallingdal 65 fabric by Kvadrat, the toys are quite large (about 1m tall) and are intended to appeal to children and adults alike. Right now, the range includes a toucan, a panda bear and a whale but she intends to add new species to the zoo in the future. 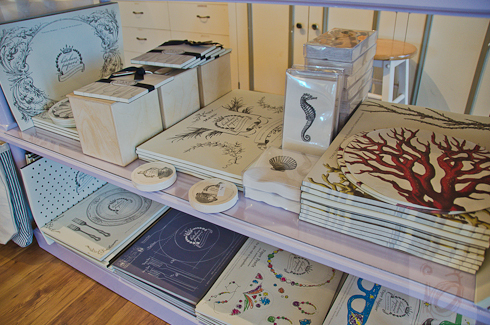 Beautiful kitchen papers from Cake Vintage available at The Irish Linen Shop. I have always loved the contrast of a black-and-white swimsuit, so I am loving this pentagram monokini by Chromat in spite of the complicated tan lines it would probably create. With crossed straps at the bust, waist and upper back incorporating the symbol, designer Becca Mccharen’s background in architecture and urban design is evident. 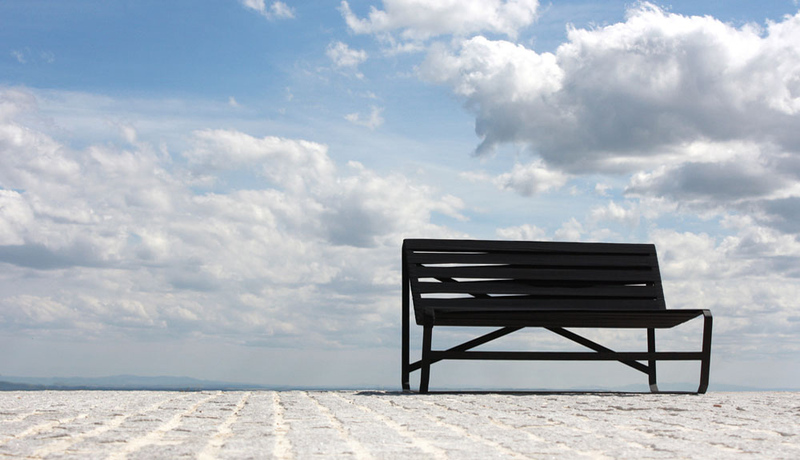 This two-seater bench from Spanish designer Daniel García Sánchez looks deceptively rigid, but is actually made from elastic bands. García Sánchez's concept for the Air bench is to encourage the sitter to capture concepts like lightness, weightlessness and comfort. Wonka could never have imagined a place such as this. 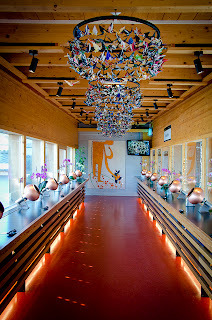 Like wonderland for chocolate and art lovers is the Zotter production facility in Riegersburg, Austria. 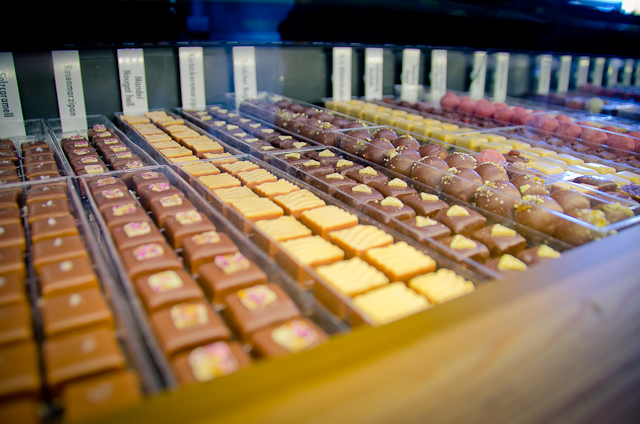 Opened in 2007, the state-of-the-art facility is one of the few European chocolate factories to process its cocoa directly. Housed in a beautifully designed, light-filled modern structure, the Choco Shop Theatre allows visitors to immerse themselves in the world of chocolate, starting with an introduction to the origins of Zotter's organic and fair trade chocolate and continuing with the manufacturing process. The tour is far from ordinary. As you wander along the paths of glass and art, there are numerous tasting stations at which you can sample the goods being produced in their various stages and try never-ending morsels to help you choose your favourites. From bitter, unrefined beans to limitless dark, milk and white chocolate fountains and bars of fruit, nut and other exotic flavours, half way along the tour you stop at a glass-walled bar to sample the drinking chocolate of your choice plucked off of miniature airborne conveyances. The fun doesn't end with the tour: the facility is located in parkland complete with meandering river and includes a petting zoo, play area and farmers' golf. Eat at either an outdoor cafe serviced by a gleaming silver Airstream trailer or the restaurant clad in warm wood, both of which have gorgeous views over the park and the main building. 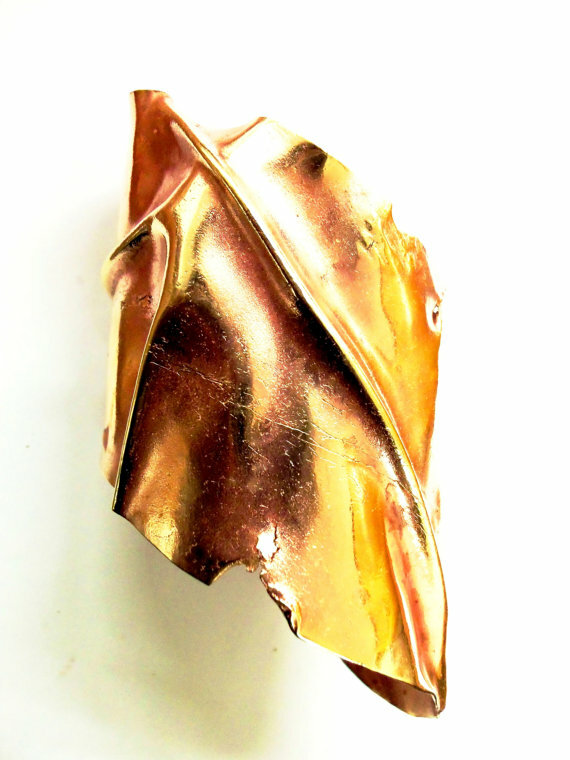 This gorgeous brass cuff from Trinidadian photographer and jewellery designer Olivia Fern brings to mind the leaves which are found in abundance on the ground during the long dry season. This and other pieces are available from her Etsy shop Olivia Fern Studio here. 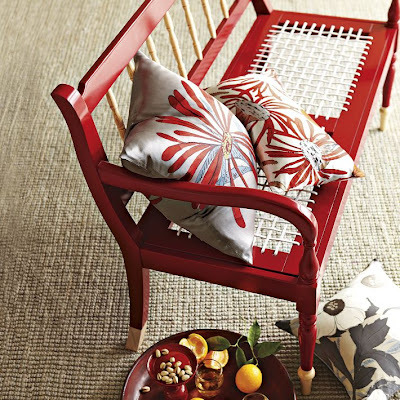 Starting today June 12, visitors to West Elm’s stores and website will be able to peruse and purchase that store's latest collaboration featuring goods from 16 different South African artisans. While the Brooklyn-based brand has a strong global outlook, this is their first time the company is working intimately with the design community of one country. 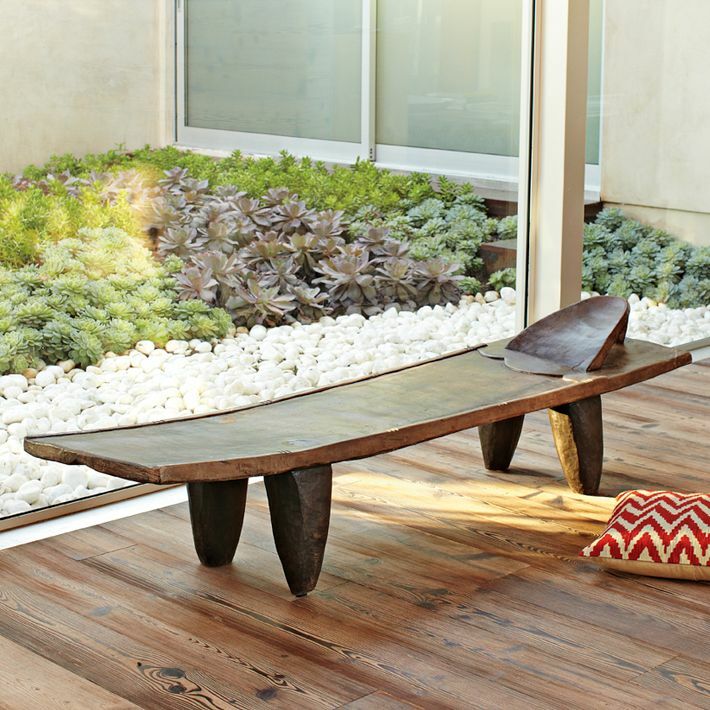 The collection is typified by bright colours and traditional, primitive designs like the ceremonial Senufo bench pictured above. Some of the designers include husband-and-wife duo Trevyn and Julian McGowan of design studio Source who blend traditional African design details into their collections and renowned Cape Town designer John Vogel who is inspired by South African riempie weaving and has created some stunning, sculptural pieces like the Mantis Lounger pictured after the jump. While it is commendable to see the work of South African artisans featured and sold by West Elm, I hope the culture of the country is not being distilled to the extent that traditionally significant items will lose their importance. The full collection will roll out over the next month. Apple's television system has been rumoured to be under development for a while, but it appears that IKEA have pipped them to the post with their new integrated television system called Uppleva. 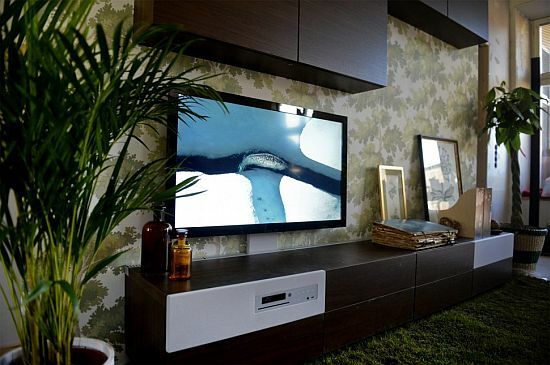 IKEA recognise that the television is a major component of modern life and rather than resorting to camouflage are aiming to harmonise and integrate that technology with the furniture they sell. It is a natural progression for the brand which has already dabbled in electronics (you can buy fridges, cookers and washing machines from IKEA) so the introduction of an entertainment system would seem to be a no-brainer. 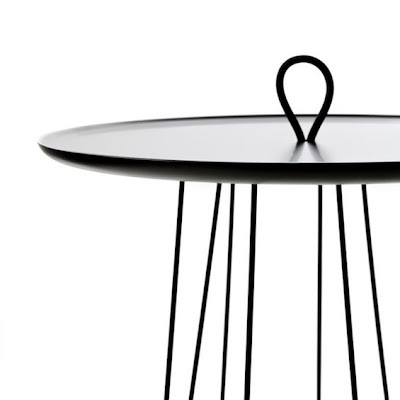 There was some scepticism regarding the quality of the product, but when Uppleva launched at Milan's furniture fair in mid-April, those members of the public who were fortunate enough to preview it seemed impressed with its functionality as well as the price. The television will be sold in 24, 36, 40 and 46 inch versions, is Wi-Fi ready and features an LED backlit display, as well as the standard ports for connecting peripherals. 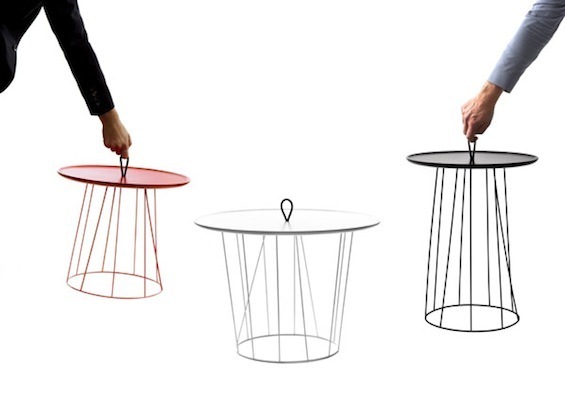 The unit can be attached to three different bench designs in six different finishes. The system does not just simply include a screen, it is a full media centre including a Blu-ray/DVD/CD player (a retrograde step as in my opinion the future of television is online) and a 2.1 surround sound system with minimalist wireless speakers that can be moved around the room. 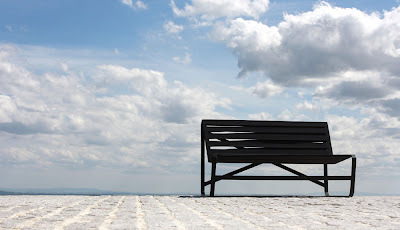 There is also extra storage space in the bench for hiding cables and other clutter. The Uppleva goes on sale this month in selected European markets and will retail for approximately $1000. 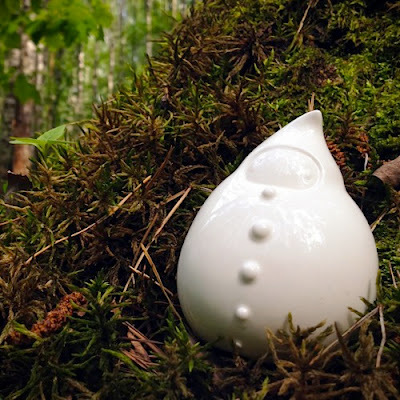 I'm in the process of planning a woodland-themed party and this limited edition, porcelain gnome would be perfect for it. From Moscow-based character designer and toy artist Sergey Safonov, the figurine is made in Russia. Karen Walker is taking her stylish, often sorbet-coloured eyewear on on a 12-month road trip using a novel concept: a portable, pop-up candy bar. 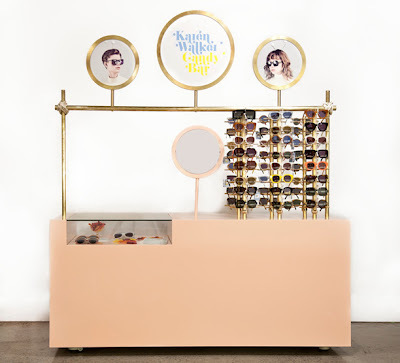 The Karen Walker Candy Bar will showcase the complete current Karen Walker eyewear collection as well as several limited-edition styles (pictured after the jump) that can only be purchased at the Candy Bar. 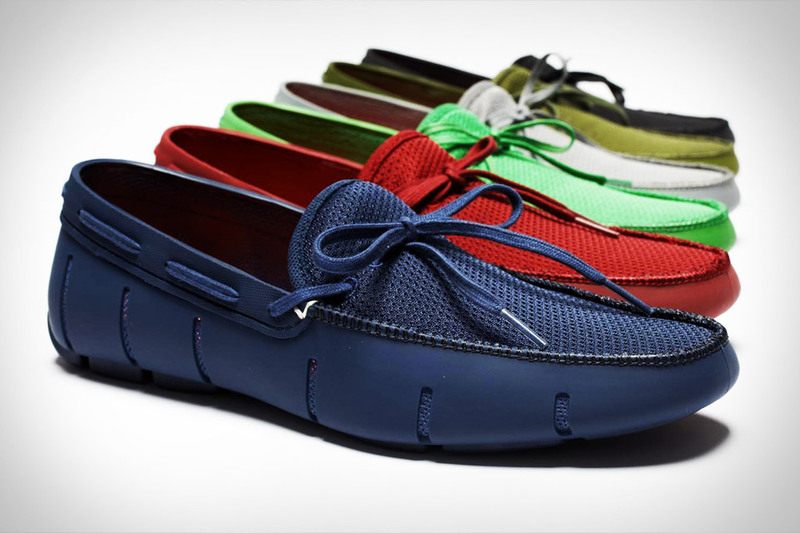 I like the lines of this lace loafer from Norwegian brand SWIMS which is a sleeker, more modern take on the traditional boating shoe. Made from SWIMS' rubber, the shoe features an anti-bacterial mesh lining, slits around the base to let the foot breathe and an EVA footbed for comfort. Some of you may have noticed that the posts for the month of May were both lightweight and sporadic. This is because I have spent the last few weeks island-hopping through the Caribbean and in the process have found loads of inspiration for the blog. These posts will be featured over the coming weeks interspaced with the usual finds, but I wanted to start with a review of one of the more spectacular properties I was able to visit. 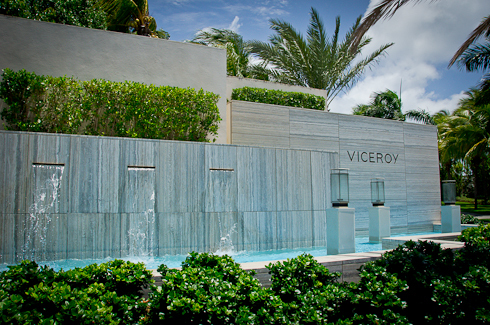 The Viceroy, Anguilla is situated over 35 acres in the western end of the island overlooking Barnes and Meads Bays. 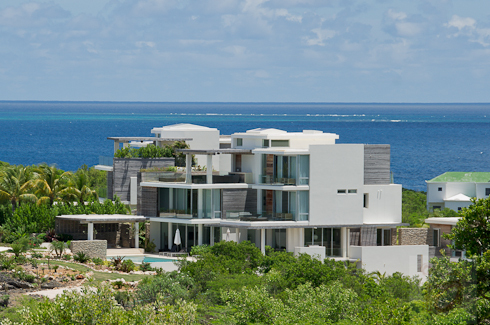 The property was amazing to me particularly because last time I visited Anguilla it did not exist. The property is extremely impressive. It was a real eye-opener to see the massive, solid buildings of the hotel (and they are huge) nestled in what appears to be mature, landscaped gardens. I am used to a certain level of luxury of hotels and villas in Anguilla, but to my mind the Viceroy takes this to an entirely different level. A lot of emphasis has been placed on the interiors of the hotel which were designed by Kelly Wearstler who I've featured on numerous occasions on this blog, so that was an additional treat for me. 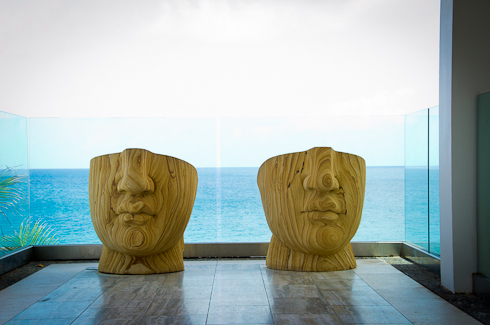 She effectively mixes natural materials (stone, marble, wood, metals and glass) which speak to the resort's location rather than a clichéd or stylised version of the Caribbean. Kelly's fashion line and jewellery are also featured prominently in the boutique, which will be the subject of a separate post in the coming weeks. Is the Viceroy incongruous? I'm not sure; there's no denying that the ostentatious elegance of the property is definitely a boon to the island. The most jarring aspect to me as mentioned above was the fact that the hotel was not in existence the last time I visited the island and so seeing such a grand and mature property in situ was personally a surreal experience. This is a twee idea. 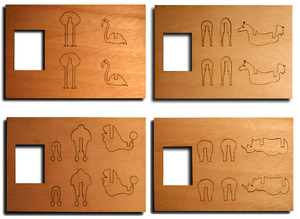 These Faunealea earrings are made of acrilyc and pine plywood are designed as a postcard and can be sent to your friends. The fact that you have to put them together makes it feel a little more personal.